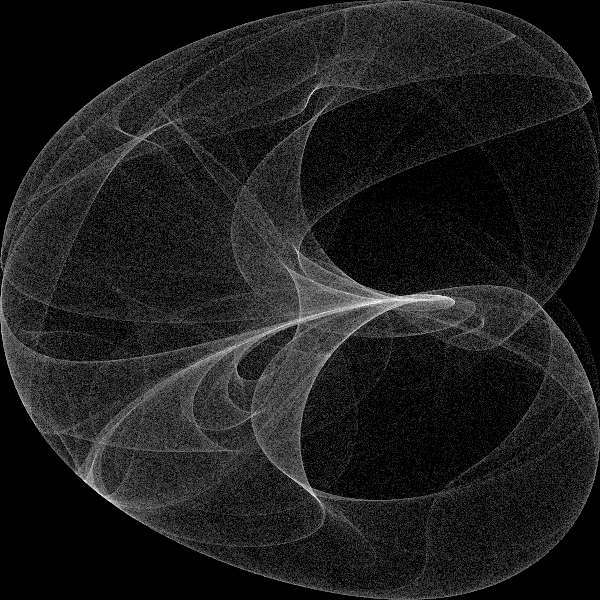 I have a borderline unhealthy obsession with attractors. I thought I got it out of my system, but here we are. For whatever reason, I felt like making some in R.
You can find the R code here. It uses the attractor function to define density in a matrix, which is how often a given point gets hit. Then we plot the log scaled version of that using image(). Be warned, with a lot of points it can be quite slow. If you play around you might want to drop the n value to 10,000 or so. If you like this sort of thing, I made a realtime interactive dejong attractor, using a kinect, openFrameworks and a lot of GLSL shaders. You can see a clip of it below, the source is also on my github if you are so inclined. 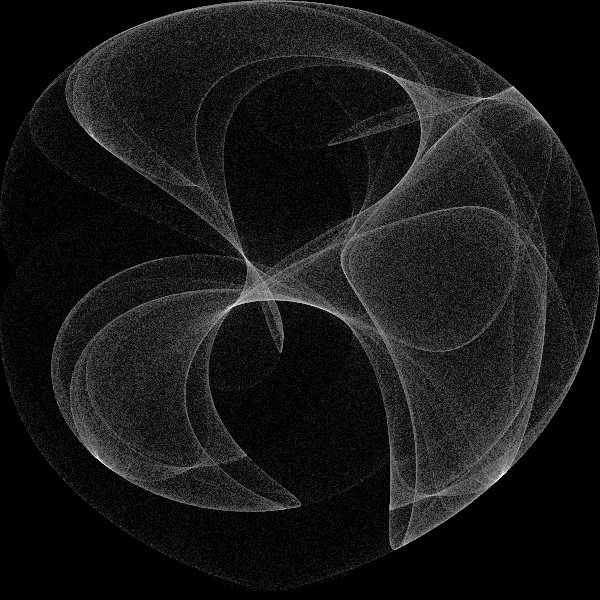 Attractor from dizzy pete on Vimeo.